The key is to anticipate, to be in a state of thanks, a state of being called grace. Expectant, fired up about what the day will bring. When you are being ‘excited expectancy’, you will attract experiences equal to the vibration of these tessellating, radiating thoughts. This is the way to do it. Choose your state of mind; change your experience. The other way is to flat-line, to sit in the stagnant waters of same old same old, literally dying for something new, something real, some experience of being alive. Addicted to the habits of our daily life, repeating the same choices, we insanely hope that something really BIG will grab us from the outside and make a difference. When it doesn’t, ever desperate, we grasp at things and experiences, aching for an encounter with something other than what we’ve become. We are bloated, fear-filled and sick, clinging to our sinking life raft of comfort and security. Comfort and security when grasped from outside us do not predispose us to bliss. They are experiences already spent; last year’s harvest. They can’t feed us. They are attempts at control, ways of saying, ‘no, life must be like this’. You, the limitless, have limited the surge of life, closed off new possibilities, kept the magic at bay. Not understanding true power. Close your eyes and feel the terror of losing control of who you think you are. With the delight of a child, spin round and round in circles until you collapse in ecstatic dizziness on the ground, letting the universe flow with you, swirling around you and in you. The center will hold. It is you. Home. If you want to experience the extraordinary, then you must become open to the extraordinary. You must be present at the very edge of your awareness, willing to expand beyond all beliefs and welcome the unknown as a beautiful, mysterious lover who gathers you to her with wide arms full of comfort and receives your open breaking heart in exchange for the security of boundless joy. Your willingness to walk in grace, to embrace the unknown, creates a space for life to surge into with all the beauty and exuberance of a newly formed universe. This is the power that longs to dance with you. The power of creation. Expression. What will you experience from a place of belonging, healing and potential? As always, the choice is yours. The old paradigm is finding a place for ourselves in the world. The new paradigm is finding a place for the world in ourselves. The higher you’re going to fly in life, the less dead weight you can carry. Many old beliefs can be re-evaluated. For instance, my third grade teacher once said to me that I was obnoxious. Granted, it was an understatement, however, it became a die-hard belief. I went through years of obnoxious. Does it apply to me now? Or is it out- dated and better dropped altogether? Can I replace it with a new belief that supports and empowers who I am now? ‘I am obnoxious’ could become ‘I am full of energy’. And, when you’re over forty, that’s a good thing. See your situation; recognize the beliefs that are creating it, and replace them with ones that serve who you are now. You can drop the beliefs completely, but sometimes it’s easier initially, to replace them with something supportive. Retrain your mind. Stop creating the drama that results from living out of unconscious, out-dated beliefs. It’s where you place your attention that makes the difference. It’s your choice. Stop paying attention to beliefs that hold you back and start focusing on beliefs that help you on your chosen path. Accept your life exactly as it is right now. Accept your past, and examine the beliefs that have got you where you are. Change them if need be. Agree to love yourself right here, right now. There is no one else like you on the planet. You are perfectly yourself. Get back in the flow of life by accepting ‘what-is’. Remember, life is always moving forward. Don’t get stuck in the backwaters suffering with resentment and fear. Get back in the current as quickly as possible. Those backwaters are loaded with bitter, resentful people who watch life go by, suffering endlessly and pointlessly. Real suffering, conscious suffering, takes place when you go through the necessary pain of changing your beliefs. They are beloved to you– old friends. Many were created unconsciously to protect you. You are big enough to choose beliefs more in keeping with who you are now. The suffering is in the letting go. But once you let go of the past and those worn-out beliefs, you are released. The only way to be truly present, and truly free, is to accept life as it is, fresh, ever changing. When you try to make any of life, as such, conform to your ‘belief system’, you are tying it down, holding it still. Water that doesn’t move stagnates. Allow yourself to flow along with life. Gracefully turn over your false sense of control to the bigger force that is unfolding the Universe, exactly as it needs to be, yourself included. As you exchange old beliefs for new, see this letting go for what it is: a temporary return to chaos. You are inviting change. Change is by nature unsettling. In the growth required to adopt a new set of beliefs, there is a large spurt of expansion and activity. It is followed by a rebalancing time of contracting; a time of stillness, to allow the pieces to reform into a coherent picture. The seeds of transformation are present in chaos. As a caterpillar experiences the soupy breakdown of its caterpillar being, new cells, called imaginal cells begin to multiply. These cells multiply and overwhelm the immune system. The caterpillar actually liquifies. 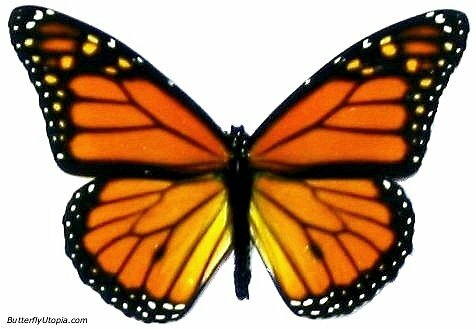 Finally, the imaginal cells gather, differentiate and form and entirely new creature– the butterfly. Everything is put back together in a new, dynamic, updated version. We must die to our old self to be born into our true nature and destiny. Trust that life is carrying you. You’re beginning to become conscious of how harshly the manifestation caused by your old beliefs cut you off from your source, how your old beliefs truly did not serve you. You’re going to experience bouts of chaos. Out of chaos emerges re-organization, a birthing–new life. Soon, you will recognize this cycle and welcome the exciting growth period and accept the unsettling/re-settling period as just as necessary. While you are in chaos, new strengths are forged and merged. You become more. Real change requires a deep inner shift. If you start lifting weights, you wouldn’t expect to see results right away. Deep muscle change occurs first, unseen. A lot of your initial progress will be internal and invisible. Don’t get discouraged. Your job is to establish new connections in the direction of joy. All you may be able to muster up at first is feeling better; not so out of control. A far cry from joy, but it’s authentic, a new reaction, creating the beginnings of a new way of responding to the world.